August 20, 2011 – Journey to my heart…. Tonight I went to see Spy Kids in 4D with Peter and Isaiah. I am all for paying a little extra for the kids to experience something new. Peter was pretty sure 4D meant 3D in the Imax theater. I kind of believed him because he has that very convincing 8-year-old voice. Well, when we bought our tickets we were handed our 3D glasses and a card with 8 boxes on it. 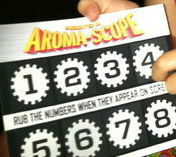 We were instructed to scratch and sniff when the number came up on the screen. I was a bit skeptical but thought I would give it a try. As I sat in the theater, I thought this is comical. Scratch and sniff has returned as 4D. Let me tell you this. It is NOT worth paying the extra dollars as all three of us thought all 8 boxes smelled pretty much the same. This reminded me of a display I saw at Meijers the other day. It caught my eye since Johanna (age 2) can have that runny nose from time to time. 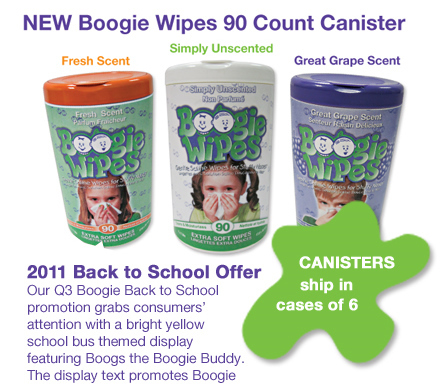 I saw that for three something I could buy a container of boogie wipes. Quickly I realized that for 59 cents I could buy a pocket Kleenex which does the exact same thing. It is funny to me how simple things such as Kleenex and scratch and sniff have been marketed in a way to make more money. I know this has happened and will continue to happen with many products. I admit I am more of an impulsive buyer and often go for the new and upgraded product. Today I realize I am going to exercise more caution and am committed to being a more discerning consumer.